Using Education to Shut Down Free Choices and then Redefining as Personal Autonomy: Orwell Lives! George Orwell that is and the Newspeak he warned about in 1984 where thought is confused because none of the official terms being used means what is commonly assumed. We have talked about that before in education with terms like Quality Learning or Excellence. But what about when personal autonomy means the choices made after primary education is used to monitor personal behaviors and interactions with others to make sure that a person is putting the needs of the group first? Or that the person is building their self-identity during those crucial adolescent years around being a member of a Group? You think you see where this is going? Yet more insistence on the primacy of the Common Good? You would be correct Sir. Ten Points in the Bonus Round of Diminishing Personal Freedoms as THE 21st Century Goal for All Learning. Everywhere apparently. This is from the controversial Moral and National Education Project that went live for Hong Kong primary children last month and for the remainder of secondary schoolchildren in September 2013. And before anyone says “That’s the other side of the Globe. It will not impact US or Canadian schoolchildren.” The sources cited are American profs. Ontario profs. This is a global political coup being mounted through our K-12 schools. At least the Hong Kong parents, students, and politicians knew enough to be outraged. They aptly called it brainwashing but to no avail. We in the US still have comparable obligations being imposed in classrooms but it is hiding behind Positive School Climate mandates and the actual Orwellian definitions of College and Career Ready or Deep Learning Strategies or Higher Order, Level 4, Thinking. Betraying one’s country is selling state secrets, not refusing to defer to the majority consensus! Seriously. Moral education is being defined as teaching that the “majority’s opinion and interests precede individual’s opinions and interests.” Now won’t this come in handy with the promotion of Systems Thinking and telling each student they are merely a part of the much broader Whole? The way to foster world citizenship then is using the concept of moral education to push these ideas of universal love and universal justice on schoolchildren. What a dream for parasitical UN bureaucrats and their tax free salaries to have students all over the West being taught these ideas as Systems Thinking and Education for Wellbeing as we saw in this post on what Australia is mandating with US advisors. http://www.invisibleserfscollar.com/if-education-transforms-values-and-feelings-and-beliefs-to-control-behaviors-are-we-free/ In fact the advisors are from the same US college campus where that Global Perspectives Inventory was created. What are the odds? Well this is certainly yet another way to fracture the concept of the Unitary Self as the Regional Equity and Environmental Justice advocates seek. http://www.invisibleserfscollar.com/distributive-justice-is-not-enough-we-must-break-the-illusion-of-the-unitary-self/ Seriously long term regular readers are thinking. What is going on? This is all clearly related. And global. And a stealth implementation of what are clearly collectivist political and economic theories. Could you please give us a date you say? Somewhere in particular to help us really frame what we are dealing with here? Well, I have quite a few illuminating choices to answer that one but this week’s Tiptoe through the Footnotes Journey yielded yet another Glittering Gem of an Epiphany. This one is from 1968–an important year because we are at the height of the Cold War and the beginning of the student riots that changed American culture and education so much. The book, The Learning Society, is by a man, Robert M. Hutchins, who was once the President of the University of Chicago in the 30s and 40s. 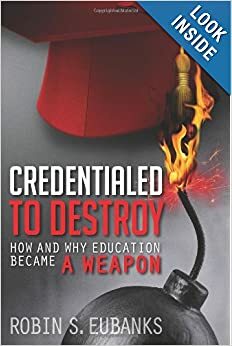 We have talked before about Ralph Tyler and his Eight Year Study which laid out a way to implement the progressive vision for education originated by John Dewey http://www.invisibleserfscollar.com/if-standardsoutcomesobjectives-what-is-the-real-common-core/ . Hutchins was a close friend and mentor to Ralph Tyler in addition to being his boss. It was Hutchins who put Tyler in the chair positions at Chicago where the entire concept of Behavioral Sciences and Systems Thinking originated. So when one of the scheming Systems Thinkers cited the book, I thought it was time to read it. Sound familiar? An education that “introduces all men to the dialogue about the common good of their own country and the world community.” Now Hutchins wanted this education for new values centered around the concept of Humanity to be pushed everywhere. To use education to change the culture to “one in which living wisely and agreeably and well is the object.” Communist China and the Soviet Union and Kuwait and India and Japan and Africa and the US. But these countries differ drastically in the level of influence their students and citizens have over government actions. Or refusals to act. What we are seeing in 2012 is just a continuation of this previous attempt to snuff out personal liberty and individualism everywhere on this globe where these ideas have ever flourished. And especially in those countries where they are cherished. So in the US we get our assault on freedom wearing Orwellian masks and tucked into little read but still binding regulations. But the assault is no less real. And the draw bridge is down. And the Armed Guard went into town to fetch some mead for a planned banquet. And the moat has been drained to allow for easy to access organic gardening. We are wide open and largely unsuspecting. And it is coming.